Eliminating or controlling individual factors that contribute to coronary heart disease (CHD) can substantially reduce CHD in the total population despite the significant and increasing effects of age-related risk, a team of Duke cardiologists and researchers concluded. Working to help develop effective preventative strategies for CHD, the team of researchers compared the associations of key modifiable risk factors—primarily lipids, systolic blood pressure (SBP), diabetes and smoking—with incident CHD events based on prognostic performance, attributable risk fractions and treatment benefits overall by age. “Prevention is more than simply looking at risk factors,” says Michael J. Pencina, PhD, vice dean for Data Science & Information Technology in the Duke School of Medicine. 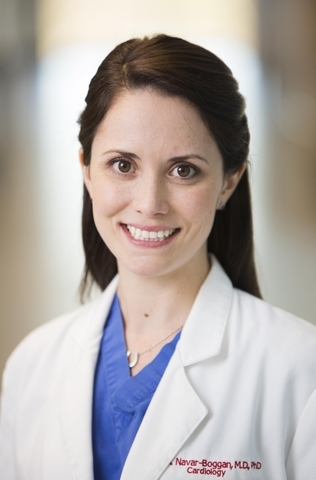 Pencina, lead author of the study published online December 7 in Circulation, says the team hopes the research will contribute to future CHD guidelines. “This project focused on benefits of interventions,” he says. “How much can cardiovascular risk be reduced with lifestyle or pharmacological solutions? 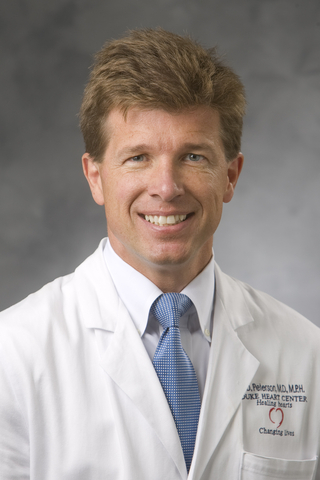 How much can statins or beta blockers or other related interventions help?” Other Duke contributors included cardiologists Ann Marie Navar, MD, PhD and Eric Peterson, MD, MPH, and statistician Daniel Wojdyla of the Duke Clinical Research Institute. The team assessed coronary heart disease (CHD) risk factors by applying statistical analysis to pooled participant-level data from a cohort of 22,626 individuals 45 to 85 years of age from four National Heart, Lung and Blood Institute observational studies. The research initiative utilized several metrics of association, including change in prognostic performance of risk models, population attributable fractions and treatment benefit. The researchers investigated ways in which these measures changed when age and risk-factor thresholds were applied. “We should move from a model that focuses on the risks to a model that brings together risk of disease and benefit of therapies that reduce the risk” Pencina says. Age is the biggest predictor of CHD risk, but Pencina says the study concludes that lifestyle and pharmacological interventions on risk factors can still drive down risk. “This can be a beneficial narrative,” he adds. The statistical performance models indicate that eliminating or controlling the individual factors would lead to substantial reductions in total population CHD events. Pencina acknowledges that the influence of aging casts a daunting shadow when assessing CHD risks. “We are all aging, of course, and if we relied on traditional medical thought, it would seem that aging is dooming,” Pencina says. “But our study shows that there is in fact hope because we see the metrics of risk reduction.” Lifestyle and/or pharmacological intervention can reduce risk and extend life, he says. The findings are particularly significant for physicians who work with young adults because of their ability to embrace “primordial prevention,” which refers to preventative efforts intended to eradicate risk factors before they occur, such as the elimination of smoking. Pencina notes that most primary prevention focuses on reducing the levels of risk factors that already exist.